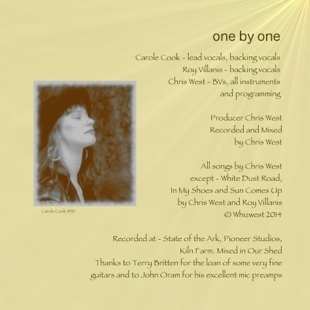 'White Dust Road' is the debut album from 'one by one' recorded between projects over the last four years. Which brings together Carole’s smooth vocal style and Chris's fine guitar work. Most of the songs being written by Chris or together with his old song-writing partner Roy Villanis.